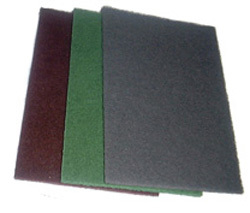 We offer special pricing on popular 6' x 9" nonwoven nylon hand pads. This product is comparable to the popular 3M Scotchbrite pads. Available in cases of 60 for maximum savings or boxes of 20 pads.